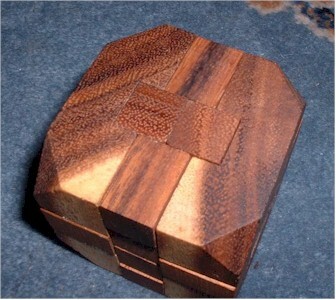 A simple chinese puzzle box... very cool. I loved these! 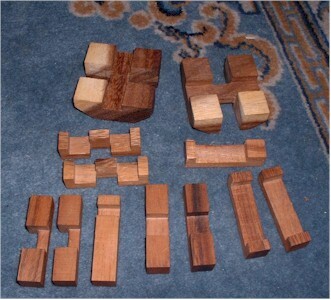 The pieces of this one look just like those of one that I had. When assembled, though, mine was shaped like a barrel.